VIEW ORDER - used to read and match the coupon with the sale value to provide you statistics on the dashboard. MANAGE YOUR ONLINE STORE - used install the ScriptTag required to load and render the widget. MANAGE CUSTOMERS - used to create a customer when a user enters his e-mail. 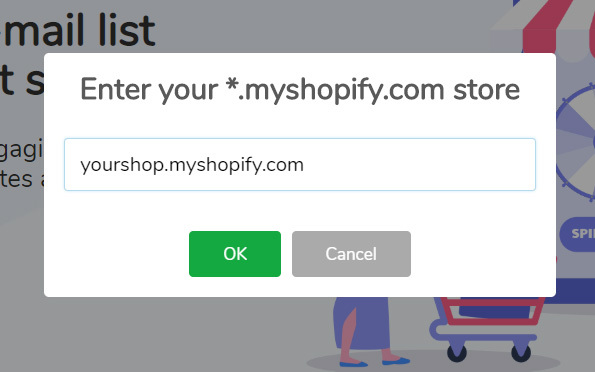 E-mail and name fields are pre-filled by your Shopify account: enter your password, accept the term of service and click REGISTER to continue. Take a moment to choose the plan that better suits your needs. 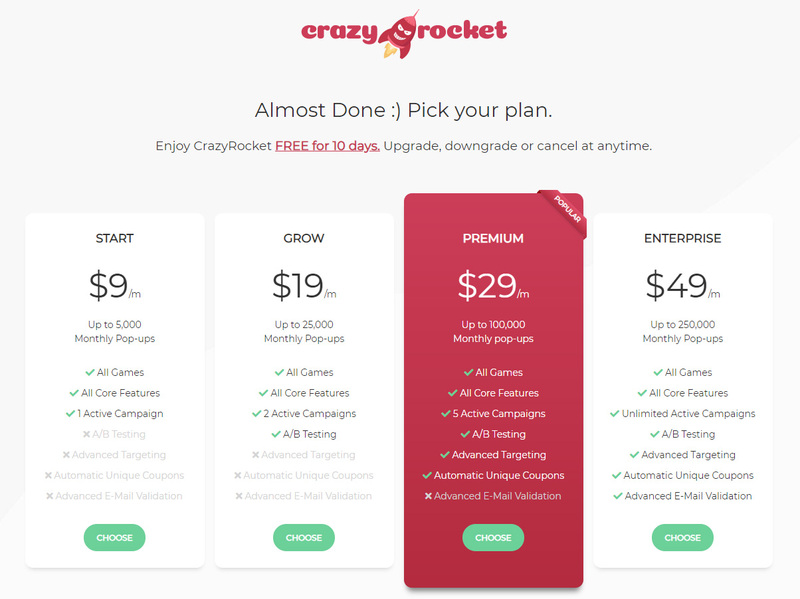 You'll have a 10-day free trial and the ability to upgrade or downgrade if needed. Almost Done! 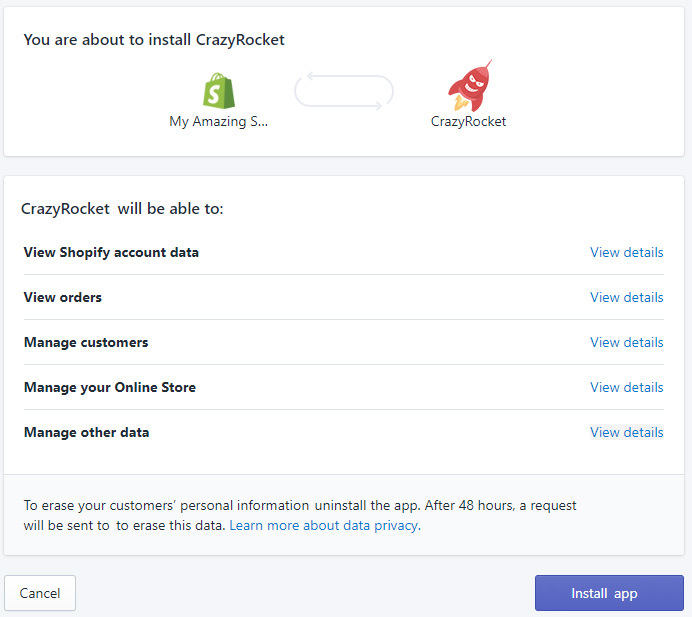 Just accept the charge on Shopify and you'll be redirected to the dashboard. You won't be charged if you uninstall the App before the trial expires. Congratulations! 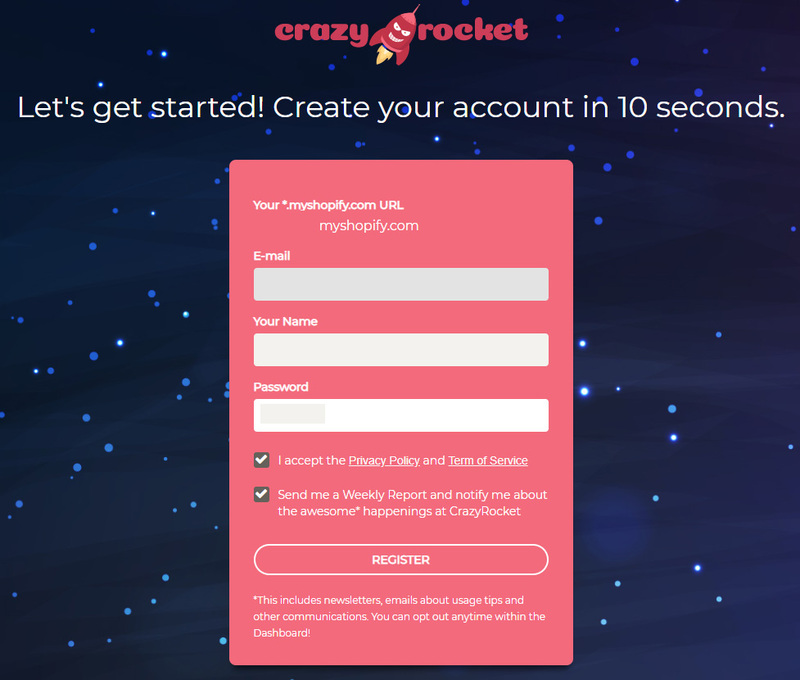 You installed CrazyRocket on Shopify; now you can create your first campaign.